Nepal Cloud User Group is a community of IT Professionals and developers who share their knowledge and technical expertise of cloud computing. On March 11th we are partnering with the Nepal Cloud User Group for the Visual Studio 2017 Launch Event. This event is a part of a global initiative celebrating 20 years of Visual Studio. The event will feature sessions on various Microsoft and open source technologies and tools powered by Visual Studio. 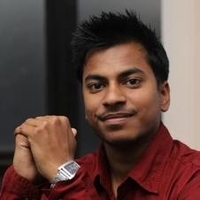 One of the event speakers will be Punit Jajodia, a Toptal developer and Community leader, who will give a session entitled, “Streamlining ASP.NET Core Development with Docker.” Attend the talk to learn about Docker use cases, streamlining developer onboarding, and how you can save your time and sanity using it. The event will take place at the Cook Book, starting at 10:30 AM. For questions regarding this event, please visit the website or contact Punit Jajodia.